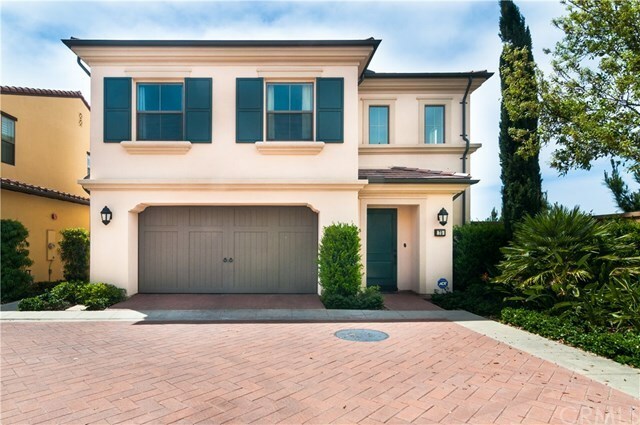 Welcome home to the highly sought after community of Cypress Village. This popular Jasmine Residence 3 features a functional, open concept floor plan with 3 bedrooms, 2.5 bathrooms, 2,052 SF of living space, an attached 2 car garage, and a large conservatory. When you enter the home, youâll be greeted with a vaulted ceiling foyer that leads to the expansive great room with the family room, conservatory, dining area, and a large gourmet kitchen with an island. The kitchen is upgraded with granite countertops, 6 inch backsplash, under cabinet lighting, and stainless steel appliances. Step outside to your landscaped backyard perfect for relaxing at home and entertaining guests. The high ceilings flood the home with an abundance of natural sunlight. This is a green certified home with dual pane windows, plantation shutters, dimmable recessed lights, designer paint, crown moulding, double wall insulation, and a tankless water heater. The master bedroom has an en suite bathroom, separate shower, soaking tub, double vanity, and a walk-in closet. On the same level are the secondary bedrooms, second bathroom with a tub/shower combo, and a separate laundry room with a sink. Walking distance to Jasmine Park community pool and Gold Ribbon Cypress Village Elementary. Residents enjoy resort amenities that include Olympic size heated pools and spas, tennis courts, club house, BBQs, parks, playgrounds, and tot lots. Arbor Park, Cypress Grove Park, and Floral Park are all minutes away.